It’s that time of year again – Membership Renewal time! As winter approaches Sharks members are looking forward to another great ski season, and that begins on the slopes on a Saturday morning. As well as our group coaching for young people we also have a specific adult group, so everyone can get out there and enjoy the snow. 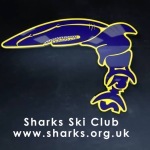 Sharks have lots planned again this year, including the Christmas Party, the Club holiday to Champoluc, Race training, taking part in Winter and Summer race leagues, and social events for young people and adults. So renew your membership now and join in the fun! You can download your copy of the Membership Renewal Form by following this link. You can then hand in your money and your renewal form on a Saturday morning, or you can pay by bank transfer (details on the renewal form) and post your renewal form to Vicky Houston, 1 Haworth Bank, Moorgate, Rotherham, S60 3BP. The renewal form asks you to sign to say that you accept the Sharks Code of Conducts which can be downloaded from the Membership page of the website. Or follow these links to access them Cofc for Children, CofC for Parents and Carers, CofC for Members and guests.